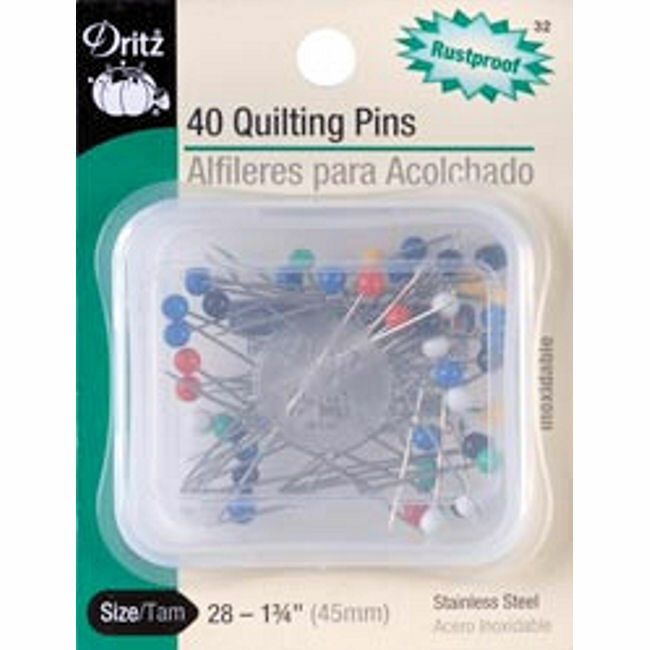 The Dritz Quilting Pins pack contains 40 stainless steel quilting pins enclosed in a re-usable plastic storage container. Pins are size 28 (1-3/4"). Use these rustproof quilting pins for basting layers of fabric together prior to stitching. Quilting Pins are longer than regular sewing pins, which is helpful when pinning bulky layers of fabric for quilting. 40/pkg is a convenient size for smaller quilts.